Advertiser Perceptions provides data-informed solutions that contribute to the success of leading media and ad tech companies, agencies and marketers. The platform works with users to analyze and interpret information that is collected and then create solutions specific to the individual challenges their clients face. 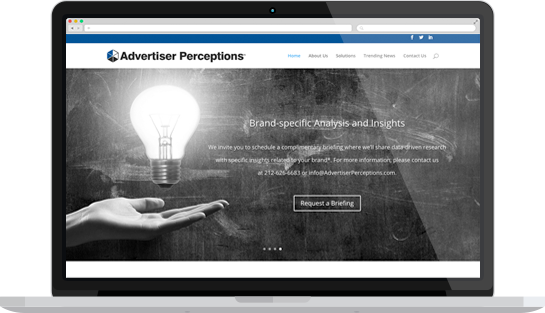 Advertiser Perceptions is the global leader in data-driven business intelligence for the advertising industry.